The loser of the competition had to leave the platform and this was the deal. Avika came first to perform the task and was apparently troubled by the tear gas. But, somehow she managed to dial a number after wasting her time in the booth. Then, it was the turn for Aly to do the same stunt. He seemed scared, so the host Rohit Shetty asked him the reason. Aly told that he had Asthma for 18 years and recently got fully treated. He unlocked the first lock quickly but suffered at the second one. After taking some time, he got successful in unlocking and dialing a number. At last, it was Jasmin who came for the task. She quickly finished the task and it seemed that Jasmin didn’t face much difficulty to finish the task. Rohit revealed that Jasmin took 1 minute and 5 seconds to complete the task, and she finished the fastest of all three. Avika got eliminated as she lost by 9 seconds. With it, Avika became the first contestant of Khatron Ke Khiladi season 9 to get eliminated. After a while, the host took the rest of the participants to another stunt location where three contestants were given a task. Each one had to lay on the bed with chains around them. Along with it, they were blindfolded and insects were released on them including big cockroaches. Each contestant had to pick up the cockroaches and put them into a box provided to finish the task. 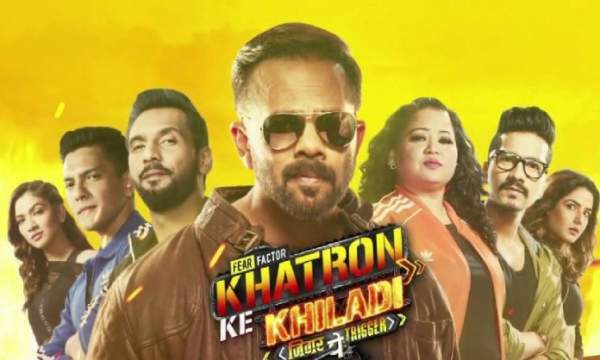 Bharti Singh, Punit Pathak, and Sreesanth were chosen for the stunt. Bharti was called to perform it first, but after teasing cockroaches, Rohit called Ridhima to perform it first. She started crying seeing insects. However, she managed to complete the stunt. Then came Sreesanth who fearlessly completed the task. Then, it was turn for Punit who stayed focus during the entire task. As told by Rohit, Punit picked 67 (the most) cockroaches while Sreesanth and Ridhima were able to pick up only 27 and 23 cockroaches respectively. Thus, the latter two were given fear and fear-funda. Stay tuned for more Khatron Ke Khiladi 9 written updates.